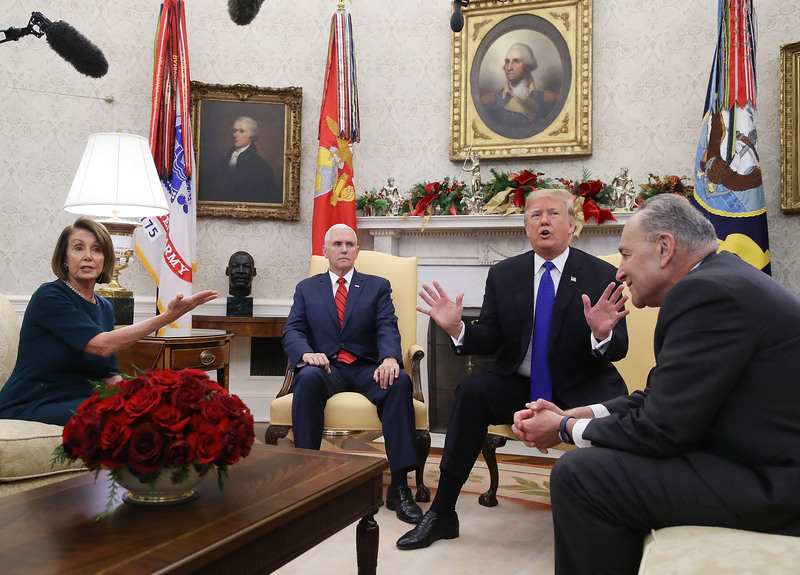 President Trump and Vice President Mike Pence had a contentious meeting with Democratic leaders Nancy Pelosi and Chuck Schumer in the Oval Office on Tuesday afternoon. The four political leaders met to discuss legislative priorities for the new Congress and hopefully avoid a shutdown over the border wall funding. The meeting quickly spiraled as the political leaders traded barbs over border wall funding and securing the border. Trump demanded funding for the border wall and said he was not scared of a government shutdown. 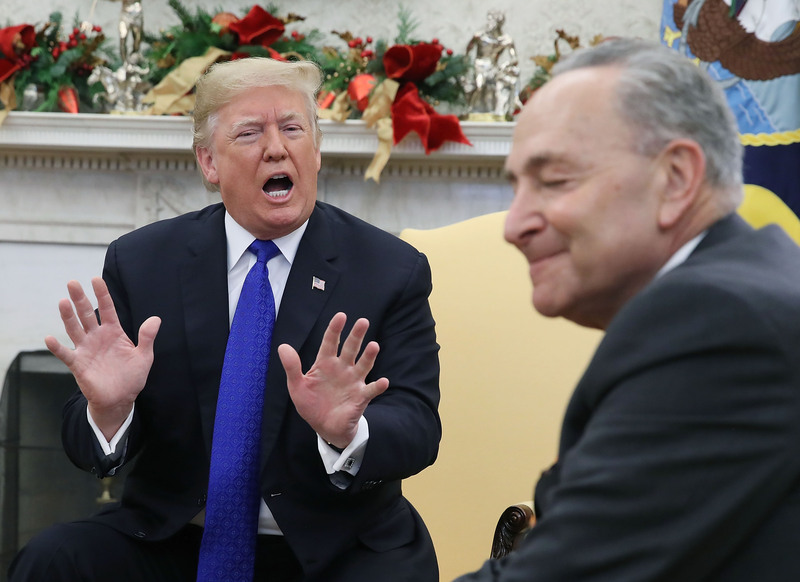 Trump and Schumer both accused each other of lying. The pair also sparred over congressional votes and who had a right to talk. At one point, Pelosi asked for the cameras to be removed from the office. Trump said he would be happy to shut down the government because the Democrats got “killed” in the most recent Democrat-led government shutdown. “The press is all there! Chuck is really shouting out. I was trying to be the mom. I can’t explain it to you. It was so wild. 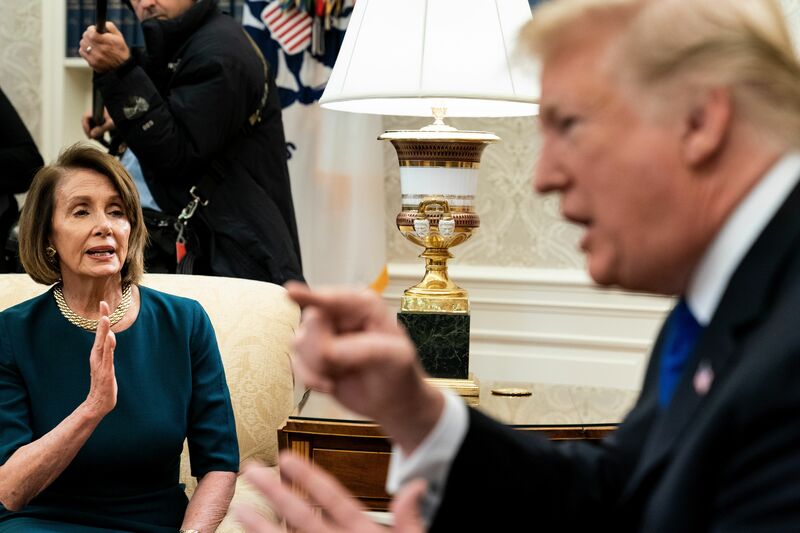 It goes to show you: ‘you get into a tickle contest with a skunk, you get tinkle all over you,” Pelosi to her members after, per aide in room.
.@NancyPelosi returned from the WH meeting with the president today and went STRAIGHT for the most sensitive part of Trump’s ego: his masculinity. “It’s like a manhood thing with him — as if manhood can be associated with him,” she told her colleagues just now. The government will shut down if Congress cannot pass a funding bill in the coming weeks.